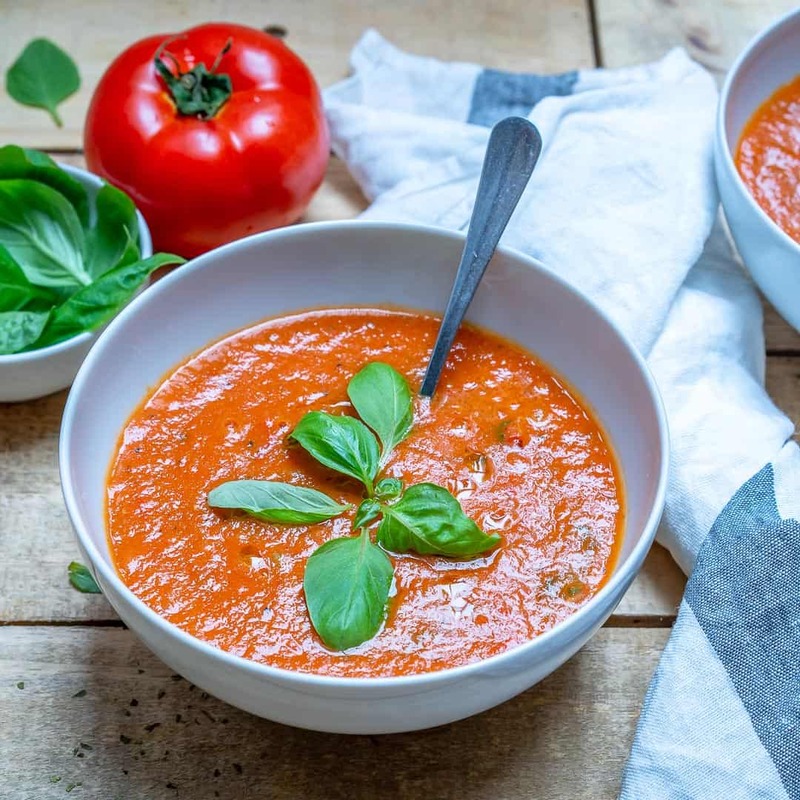 With fall right around the corner this Homemade roasted tomato soup will be your perfect bowl of comfort on your dinner table. This recipe is going to be your new favorite weeknight meal. 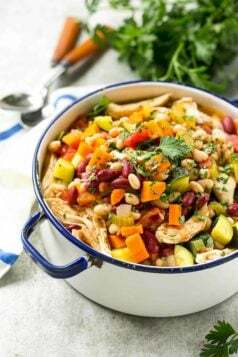 It just a perfect bowl of comfort thats bursting with flavors. Its the healthier version of your classic tomato soup with no added cream or sugar. Made with comforting and feel good heart healthy ingredients. 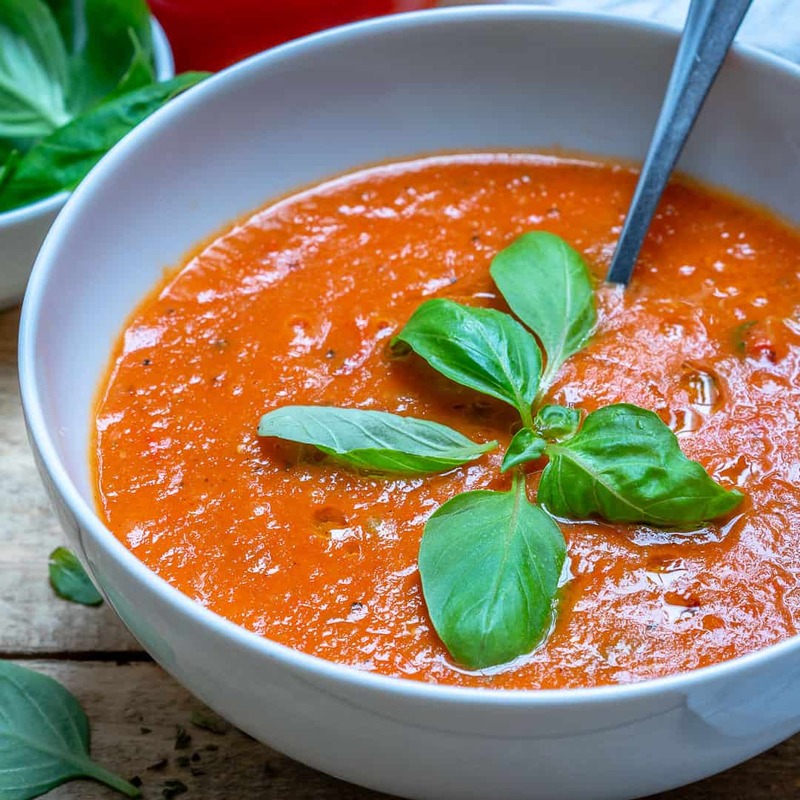 This Homemade Roasted Tomato Soup has a rich flavor to it. Its packed with sweet roasted tomatoes. Now you know what to do with all the extra tomatoes you have in your fridge. 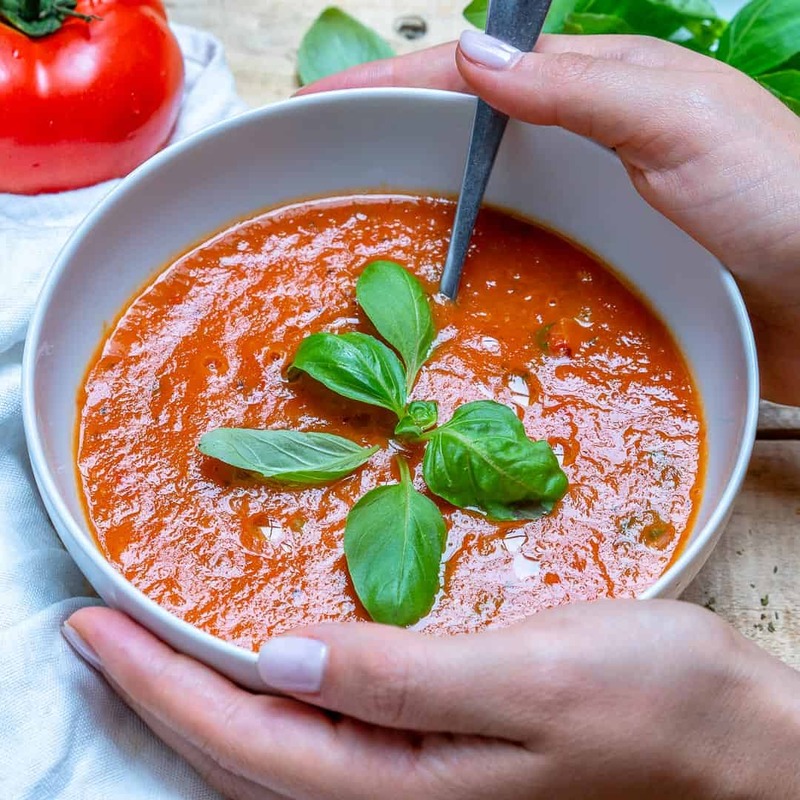 Or if you are like me and you like to grow lots of tomatoes in the summer its time to stock up on all that fresh tomatoes and make a huge batch of this Soup. 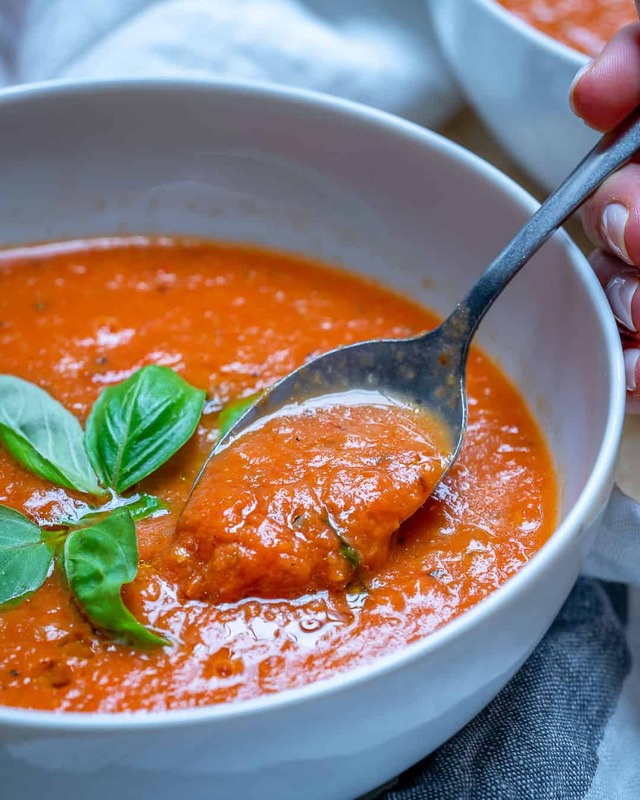 This Homemade Roasted Tomato Soup is great to have as is on its own or you can pair it with grilled cheese for the kids. 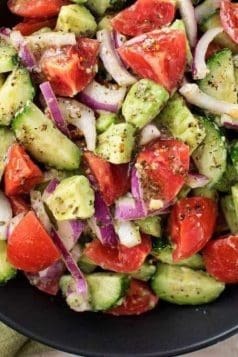 You can also serve it with some whole wheat croutons or bread. My kids love this soup recipe so much that they go for seconds and thirds. I would love to hear about what you think of this Homemade Roasted Tomato Soup if you do make it. Tag me on Instagram and also pin this recipe and share it. Love Soup? Try my HEALTHY SUMMER CORN CHOWDER. It is so delicious. Place tomatoes cut-side up in a large roasting tray together with garlic and shallots. Drizzle with olive oil, sprinkle with oregano, paprika and season generously with sea salt and black pepper. Roast for 40 minutes to 1 hour, or until the tomatoes are soft and sticky. Once veggies are done roasting, place them into a large pan, and pour in the stock. Add in balsamic vinegar, then blend with a hand blender until smooth. 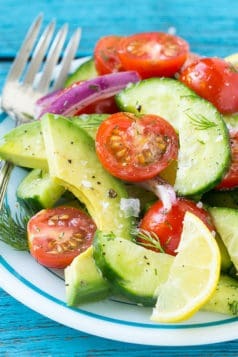 Pour into bowls, drizzle with extra virgin olive oil and garnish with fresh basil. Enjoy!